This vacuum has detachable brush for easy cleaning. It has Automatic 'Bag-less' operation with garbage collection tray that opens for easy disposal. 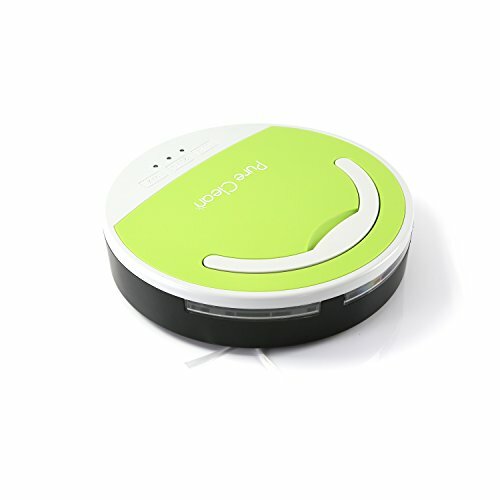 When the Pure Clean Smart Robot Vacuum is done cleaning storage is easy. Its low profile and compact size allows it to be stored anywhere easily and rapidly. This makes the Pure Clean Vacuum an essential tool for home cleaning.. The built-in battery allows the unit to be used without having to be connected to a power source. This gives the vacuum a full range of motion so it can get into every area of your room to leave it clean and the unit has operation LED light indicators to let you know where you stand..
Category: Vacuum Cleaner | eShop: Amazon..